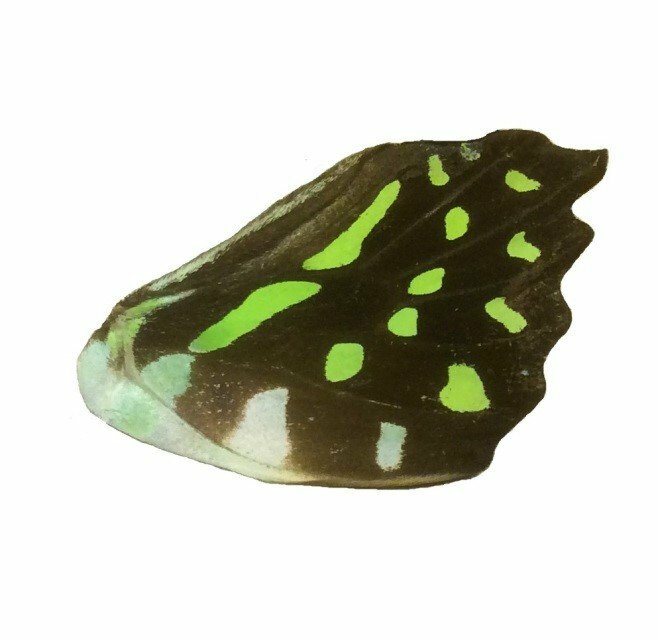 This little wing measure approximately 4.5cm x 2.5cm. It is black with a vivid green patterning. It comes in a little acid free envelope to keep it safe until you are ready to use it.